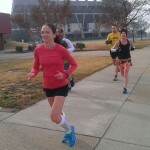 Richmond running blog about: No surprise… running. 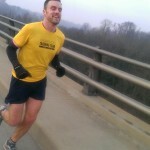 Running ultras, marathons, running races in Richmond, VA, locating running buddies in the Richmond area, etc. According to my training schedule, I should’ve been swimming or biking today. But I chose a run instead. The Boston bombings are still fresh on my mind. I don’t have answers or explanations; mostly, just more questions. But my brain can’t help but to go into overdrive when something like this happens. A run was just what I needed. all those who were injured or killed in the Boston Marathon bombings. More than that, all the friends & family who can no longer see & hear stories about their friends running. Even more than that, all those who now need to find new running buddies for the 6am, 8-mile, Starbucks running group. The events in Boston were certainly tragic, but there are others all over the world whom, for a multitude of reasons, cannot physically run. Birth defects, accidents, illnesses, you name it. Thousands of people whom will never experience the feeling of running even a mile. Today, I run for them. And while I realize this doesn’t even come close to providing them the experience of a run, I’m reminded of all the other amazing things these people can do, will do & are already doing that enrich their lives each and every day. There’s a Little League baseball complex less than a mile from my house. When I left for my run this evening, 2 games were being played: One by the real youngsters, just big enough to start pitching to themselves. The other kids were a few years older, just starting to realize the excitement of hitting their first ball into the gap in left-center. I paused my iPod. Then stopped along the fence in right field to take it in. Two things came to mind. 1. For that brief moment, I missed baseball. I missed putting my uniform on. Rubbing a new ball with dirt. Taking swings into the fence. Chugging the Gatorade after each inning coming off the mound. Taking a lead off first. Meeting my teammates at home plate after they hit their first dinger of the season. Team huddles on the mound during late-inning suspense. The pressure of getting the last out. The 0-2 pitch… and the 3-2 pitch. The family & friends watching from the stands… with expectations. My dad, and coaches, teaching me how to be aggressive. My mom, delivering the ice cold towel in the middle of the summer heat. The 10-run rule… and the extra-inning thrillers. The umpire with the tight strike zone. Thanks for making me better. The hustle plays. Headfirst slides. All-out sprints. Plays at the plate. 2. I looked forward to coaching my son one day. We’re quite a few years away from this one, but I’ve always been a futuristic thinker. Thank you, run, for a wonderful trip down memory lane, and an equally as promising glimpse into the future. This is the first post in a new series I’m calling “today’s run.” My mind is often at its most active when I’m out on a run. And I’d like to share some of those thoughts with the world. Today’s run took longer to develop than it should have. Between work, and my relentless insistence on shoving food down my throat, I managed to put it off until 4pm. Sometimes it doesn’t matter when you run. It just matters that you ran. Today was one of those days. I set out for an 8-mile trail run in my backyard, the JRPS trails. Buttermilk, Northbank, Belle Isle… all the usuals. And although I originally set out alone, I found myself sharing the trails with many different faces: some familiar faces, some strangers and some hairy ones with long tongues and real sloppy kisses. I bumped into my buddy Nate who I haven’t seen in a while. Nate’s training for one of those crazy ultras I used to be so gung-ho about. Good for you, buddy. It was great catching up. Then a few canine friends stopped to say hello. Some just gave me the quick snif’n’go (which I totally understand when Mom’s got you on a short leash). Others stopped for a legit petting from head to rear. And you better believe I gave them every last bit of what they were looking for. But this one sweet pup… He was off his leash. Mom was pretty laid back. So he decided he’d run with me for a few hundred feet. I’m awful with naming dog breeds, but just trust me, this guy had sweet puppy face written all over him. I ran the rest of my run with his dirty paw prints on my shirt. And then I saw a few moms… with strollers… and little ones inside. I don’t have a kid of my own, but I still smile at almost every little kid I see. Then I saw my buddy Tyler at the end of my run. He just finished up a mountain bike ride. He’s going through some career stuff, just moved into a new apartment… the cycle of life. Stuff we all deal with at some point or another, but it was nice to hear his personal story. I want all of that stuff. Not the same way I want to complete an Ironman, or I want a new computer. But that’s where I see myself in the future. Near future? Distant future? Who knows? But I want that. As some of you know from my Facebook status updates, I watch The Bachelor on ABC. It’s an awful show on so many levels, and I know it’s 100% entertainment, heavily staged, yada yada yada. I get it. But it’s one of my few guilty pleasures, and I find it extremely entertaining. So bear with me for a sec. In thinking about all this family stuff, I’m going to cite a line that I’ve heard many times on The Bachelor. That’s always been my number 1 goal in life… to have a family. I always thought that was just a line. Something they said for the camera, or to convince the guy to pick them. Who knows if they really meant it or not—or what it even means to them. But after today, I started to think if there might be some truth in that. I’ve been guilty for almost my entire adult life of putting work ahead of my social life (which includes relationships). I’ve set many goals over the past 10 years, and I’ve accomplished almost every one I’ve set. I’ve done some really awesome things. Maybe I should think of a relationship—and eventually, a family—in more of the way I think of the other goals I set for myself. I don’t want to force something that’s not there. And I don’t want to put a deadline on it (because that could force me into something I’m not ready for). Over the past 3 years, I’ve tried to make a relationship more of a priority. And the fact that I’m single right now doesn’t necessarily mean I haven’t done that. There could be any number of other reasons why I’m still single, none of which are bad, or anyone’s fault. It’s just how it is. This is really just a reminder for myself. A reminder that I do want a family, a dog, a house & some kids. And that just like all the other goals I have in life, they won’t just appear before my eyes. They take dedication, timing, sacrifice, money, and a host of other things. Well, here’s an idea. Run a marathon. Totally bomb your time, but have a blast doing it. Take three easy weeks off. Eat turkey. Eat more turkey. Then run the same exact course you ran three weeks ago, unsupported (sort of), to try & hit your goal time. I woke up at 5:00am this morning. Rested. No nerves. No worries. Just another Sunday run around one of the coolest cities on the East Coast. Start time: 6:30. Broad & 7th. It was dark. Quiet, but not too quiet. Cold, but perfect running weather. My goal was the same as it was 3 weeks ago. A 3 hour 30 minute marathon. Finish time: 10:04. A 3:34:00 marathon. I missed my goal… again. Failure, right? Wrong. One of the things I love most about running, is that it changes my perspective. My perspective on life. On other people. On myself. And the world around me. My run today was no different. A 3:30 marathon is a really difficult time for me. I trained hard all summer, but it was undoubtedly going to be tough for me to maintain an 8:00/mi pace for 26.2 miles. A 3:34 (all things considered) is a reflection of what I’m capable of. And above & beyond the 3:30 goal, that’s what today was really about. A 3:34 shaves 12 minutes off my previous PR. And I don’t care who you are… that’s just cool. My legs didn’t feel much better than they did 3 weeks ago. But my head was in the right place. I had a random group of runners with a 7:30am running group cheer for me at the Huguenot Starbucks after my buddy, Marcos, told them what we were doing. Runners are runners. Strangers are friends. 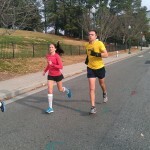 At mile 23, if I maintained an 8:00/mi pace, I would have been right at 3:30/3:30+change. Also at mile 23, my legs felt like poop. Without my friends, I might have walked. I’m proud of myself for pushing through, no matter what the pace was. Friends don’t let friends drink & drive. Runners don’t let runners run alone. 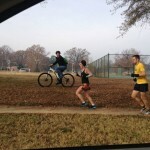 Oh, and friends don’t let runners drive after marathons (Thanks James). On multiple occasions, we had cars stop at green lights to let us go. It was like the world communicated to them what we were doing, and they got the message loud & clear. I don’t care who/what you believe in, but that’s some powerful stuff. Awesome is as awesome does. I have the best friends anyone could ask for. You could attend The Global Summit of Nice People International, pay a million bucks a head, and you still wouldn’t walk out of there with a better group of people. I wish I would have talked to them a little more today (marathon delirium from 20 on). But there’s plenty of time to make up for that. That’s why man created Starbucks. It had nothing to do with coffee, I swear. OK, well, maybe a little. Caffeine’s a vitamin, right? I joined MTT solely for the purpose of meeting new people, not for running a great marathon time. Perhaps it’s fitting that my MTT marathon three weeks ago wasn’t a great time, but the people I met during training were running beside me today. At its core, running is about health, happiness & community – not time, distance & PRs. I wasn’t the only one who did something special this morning. Ginny Flynn, Leslie Buller, Kelly Casey, Denise Thomson (collectively known as the “Little Hotties”), James Minnix, Jennifer Selman, Ola Sopilnik, Marcos Torres & Cheryl Christensen did something even more special. They were there for me (when I desperately needed it). And more often than not, just being there is more than enough. The truth is… in my lifetime, I’ll never believe that. There’s no amount of research, scientists & PhDs that will ever convince me not to run whatever pace – whatever distance – I want to run. The truth is… one human heart is smarter than a million brilliant scientists. And it’s way more consistant than any researcher will ever be. I couldn’t have asked for a more beautiful day. I couldn’t have asked for a better group of people. And I couldn’t have asked for any better of a run than the run I had this morning. 1st water stop. Thanks Marcus. Kelly leading the charge, with me struggling in the back. Today was one of those days that caught me by surprise. It was a day where my race got flipped upside down, totally unexpected. Lucky for me… I love surprises. And this one turned out to be pretty special. This past year, I’ve changed my approach to running. I abandoned my Garmin years ago because I was done obsessing over my time. I still carry a stopwatch, but half the time I don’t use that either. I have made an effort to replace numbers with people. 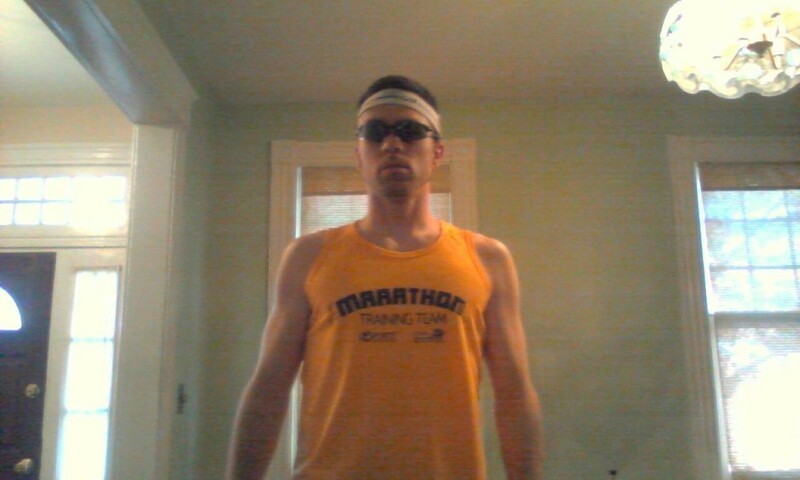 I signed up for the Marathon Training Team (MTT) because it guaranteed I’d be running with people. And all summer I met running buddies, friends and really cool, interesting people. I wasn’t concerned with how long it took me to run 5, 10 or even 20 miles. I just wanted to have fun doing it. “Fun” is an understatement. MTT is so much more than that. My fellow (Wo)Mangos & I formed a team. We ran together. We tripped over sidewalks together. We shared stories & wore funny costumes together. We got injured (and recovered) together. We ran red lights, ate gummy bears, climbed hills & ran circles around the track. Some of us still didn’t officially meet each other until the day of the race… but we shared so many of the same experiences. The greatest of which was running the Richmond Marathon… together. Doesn’t it? It makes us feel good about ourselves. And no matter how selfless we are, it’s human nature to feel a sense of accomplishment & self-worth. I love to push my limits. 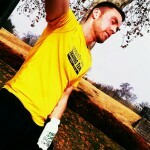 Workout hard. See how much I can improve. Give it all I got & see what I’m made of. But you know what? Some days you find out that your legs are made of Jello. And I’m OK with that. Not just because I love Jello (um, who doesn’t?). But because it’s OK not to hit your goal. If we knew we’d hit every goal we set for ourselves, that’d make for a really boring journey, wouldn’t it? When I think back to yesterday’s race… and how my legs crapped out at mile 10… and all the walking, stopping & pain that ensued for the next 2 hours… in a way, I got what I asked for. For the past year, my approach to running was not about the numbers. And my legs reminded me – less than halfway into the race – that today wasn’t going to be about the numbers either. It was about the people. The experience. The community. In the grand scheme of life, does 10, 20 or even 30 minutes difference in your marathon time really matter? 30 years from now, are we going to remember our fastest time or the funniest sign? Are we going to remember running solo to a new PR, or crossing the finish line with your friend by your side? The experience is worth more than any combination of hours, minutes & seconds. People made this race what it was. 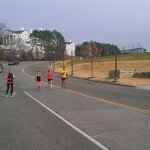 And it was the people that made the 2012 Richmond Marathon one of the most memorable races I have ever run. I posted a separate write-up of all the amazing people who were a part of my journey. Today I ran the Richmond Marathon for the first time. I’ve run a few marathons, but never any like this one. As a matter of fact, nothing even close. Today’s race was an interesting one. Started great. Ended great. And all in-between, my legs didn’t work. <– kind of a big deal when you’re running a marathon. But what made the race today so memorable was all that time in-between. I walked. I flat out stopped on numerous occasions. I thought about calling it quits, more than once. I drank flat cola (which I never do). I popped pills (which I do even less than the cola thing). I tried everything I could think of to get my legs to start working again. And none of it worked. But today’s race wasn’t about what I tried to do. It was about what others did for me (and the thousands of others out there). With that said, I’d like to give some thanks. First and foremost, I’m thankful for being born healthy, and fully capable of even attempting the things that I do. And I’m thankful for living in a country that allows not only myself, but any human being who wants to, participate in a race. After hearing Bart Yasso tell stories about countries that still don’t let blacks and/or women run, I’m grateful to be allowed to toe the starting line. I’m thankful for having parents who raised me healthy. Especially my mom for forcing me to eat my vegetables. And my dad for coaching me through all those baseball & basketball games. And signing me up for as many leagues as I could possibly fit on my schedule (assuming they’d give me a ride to the game, of course, haha). 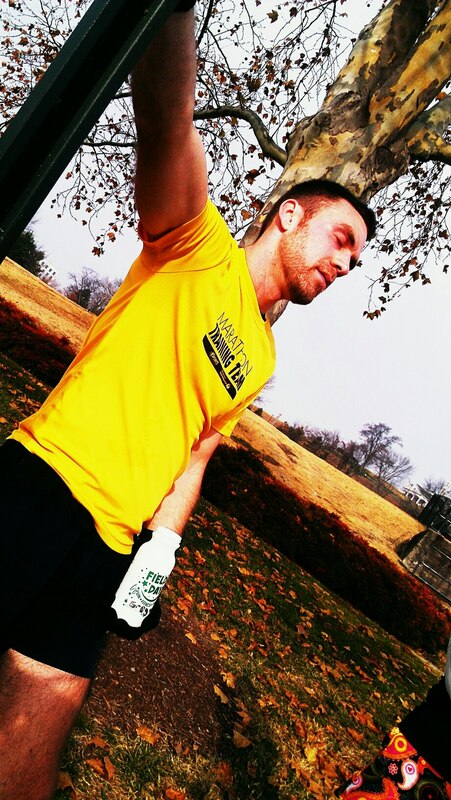 I wouldn’t be where I am today if they hadn’t promoted an active, healthy lifestyle. 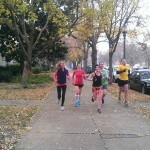 How can I not be thankful for the Marathon Training Team (MTT). This program is unlike any other in the country, and you have to experience it to understand. Now I know why over 50% of the participants are returners. 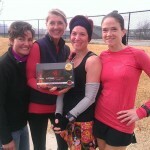 My MTT Coaches, Jake, Erin, Cathy & Suzanne. The word “coach” doesn’t do them justice. These guys are amazing individuals. All the motivation, advice, funny stories, safety reminders, salt, ibuprofen & inspiration anyone could ask for… and then some. I would not have finished my race today without you guys (dead serious). You just let me know when you need a friend, running buddy or help with anything… and I’ll be there in a heartbeat. All the MTT Coaches. I had a few other MTT coaches help me push through today. And honestly, seeing them all out there, knowing what they were doing for their respective teams… that’s motivation in and of itself. These guys are truly selfless, and the only thing they care about is getting their team across that finish line. And they have a pretty darn good record of doing it. My friends that ran or rode with me. James, Brian, Ola, Marcos (and anyone I’m forgetting). You guys are good friends, and you helped take my mind off of things that it had no reason to be thinking about. Y’all kept me going out there. Sorry, but there’s not an app for this. You’ll have to just keep running. The awesome spectator support, sign or no sign. The little kids giving free high fives… and they’re “it-goes-without-saying” awesome parents. The students from VCU, the fraternities & sororities, the cheerleading squads. 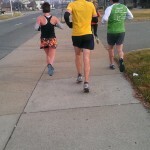 The really hot girl wearing super-tight (but classy) black pants, shakin’ what her momma gave her at mile 20-something. I don’t know where I was at that point, but I know what I saw, and I… liked it. The woman outside some fastfood joint who handed me fresh-squeezed lemonade. She obviously knows what to do when life hands her lemons. The 3:35 pace group leader, who tried to pick me up when he could obviously tell I was on the verge of collapse. You lifted my spirits, if only for a brief minute. I wish I could’ve kept up. You seemed like a really awesome dude. The gospel choir outside of Virginia Union. Those women were throwin’ it down, and it was pickin’ me up. The mother-daughter pair with the homemade cookies. Those things were moist. Well done, ladies. The 1,000+ volunteers who… well, let’s be honest, volunteers run almost every aspect of a race on race day, so basically… thanks for… everything. And thank you, Richmond, for being a great place to call home. None of us today could have done this without you. I’m sure I missed a bunch of others, but you know who you are. You’re great friends. Great people. And the world loves you for being so awesome. The end of an era. Taking the “ultra” out of running. My ultrarunning journey has come to an end. At least, for now. A single moment in the Finger Lakes Forest in up-state New York. There are so many other things I can be ultra with. I don’t need to be an ultra-runner right now. It’s OK just to be a runner. To run for 10 minutes. Run for an hour. It’s OK to say no to GPS, and just wear a simple Timex. And it’s also OK not to use it—or run naked, as we call it. I’ve always loved running for its simplicity, yet there has never been anything simple about running an ultramarathon. The Finger Lakes 50 in up-state NY changed the way I thought about ultrarunning. I was running with my new friend, Jeff, from Niagara Falls, NY for a good portion of the 1st loop, and the beginning of the 2nd loop. It was when we separated 2/3 of the way through the 2nd loop where things started running through my head. See, when you’re running with friends, you get caught in conversation. You concentrate on the topic at hand. In other words, you are distracted from the main activity you are doing — running. Just like being on the phone while driving. So once again, I found myself alone, in the middle of the woods, legs burning, sweat dripping down my face, hopelessly swatting gnats, with a slight headache from dehydration. Nothing groundbreaking. This is standard for just about every ultramarathon out there. And once again I found myself asking the same question. I still can’t tell you exactly why I’ve been running ultras for the past few years, but I came to a life-changing realization out in the middle of the forest this weekend. 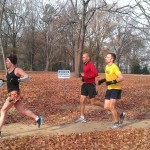 I’ve had tunnel vision with this goal to complete a 100 mile race. Somehow I convinced myself that it’s the only goal that matters. That until I complete it, I can’t move on with the next chapter of my life. That’s pretty much what happened to me—with ultrarunning. I looked up to these guys completing insane acts of endurance, and I set out to achieve nothing short of the same. In fact, my over-achieving, perfectionist attitude had me believing I could one-up these guys. That I could do things even they couldn’t do. I don’t have anything to prove – to myself, or anyone else. I don’t have to run 100 miles in order to say that I’ve accomplished something. I’ve already run more than twice as far as I ever thought I could. And I’ve even done that on 3 separate occasions. This stubborn ignorance had me ignoring the other great parts of my life that are happening right now. I run my own successful business, and have for almost 2 years now. I just hired my first employee. I want to travel & explore the world. I’m moving downtown to begin creating the lifestyle that I’ve been aimlessly avoiding for the past 4 years. I can be ultra in all of these areas. So I can leave the ultra out of running for now. It was a little difficult when I first came to the decision to give it up. Anything you pour that much time & effort into, is naturally tough to walk away from. But in less than a week, I’ve come to terms with it. I don’t know if I’ll do another ultra again. But right now, I’m just not thinking about it. I want to go back to the simplest, most pure form of running. Enjoy each run without worrying about hitting a certain mark or training for an upcoming race. I can assure you, I still have an enormous amount of respect for the ultrarunning community. It’s an amazing group of people, with a ridiculously high level of determination & grit. Lots of interesting stories. Truly genuine folks. I sat down next to my parents after I quit the 50-miler 2/3 of the way through, and I’ll never forget what I said. I’ve never been more excited to quit something in my entire life. There were always bits & pieces of ultrarunning that made me happy. Little things that I enjoyed. But with something as demanding as an ultramarathon, there should be more than just a little. Ultimately, I wasn’t enjoying this enough for it to justify all the things it was depriving me from, not to mention the pain it put me through (each and every time, without fail). I think I’ll be a happier person without ultrarunning. There will always be things I miss, but if I did everything that had some appeal to me… well… I’d need so many hours in a day you’d have to stop the Earth from rotating for a few years. Author Dave WarfelPosted on Jul 3, 2011 Mar 4, 2016 Categories Human, RunningTags 50 mile, 50k, failure, New York, race report, ultrarunning2 Comments on The end of an era. Taking the “ultra” out of running. Phew! I didn’t realize I could run that fast. This was the first race I can remember where I told myself going in, “Go all out & see what happens.” Realistically, if I pushed myself too hard, I could’ve bonked, and had to walk it in. Basically, I was operating under the all-or-nothing principle. I started in a lead group with about 10 others. Since there was no chip timing, I really wanted an even start with the best of the best. It would also be nice not to weave through people on the single track. 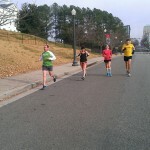 And I figured I would push myself harder if I ran with the leaders. A lead pack of about 12 started to develop. After 4 or 5 minutes, I quickly realized I couldn’t hang with their pace. I was probably doing low 7:00s, but these guys were easily in the 6:00s. And they had it on cruise control. I tucked myself into the back of that front group, and found a pace I was comfortable with. The infamous Myan Ruins came early on (I think to everyone’s liking). If they made us climb those things in the latter part of the race… well, that would just be wrong. I usually take them very slow, careful not to waste too much energy. I crawled up them pretty quickly, staying in control. 5 seconds of walking was still needed at the top, to quickly regroup. I’m no stranger to this part of the course. I’ve run Buttermilk more times than I can count. Some days have gone well. Others… not so much. But I knew the trail, it’s baby hills, turns, roots, rocks, and short but steep descents. I ran hard. I ran well. Being the first race I’ve ever gone all out, my mind kept playing tricks on me. An internal conversation ensued. Confidence vs. Self-doubt. Slow down. You’re going too fast. Keep pushing. You’re faster than you think. Keep drinking. Don’t get dehydrated. It’s ridiculously humid out here (That last part is 100% true. No bones about it.). You got this. Legs feel good. No cramping. Keep doing what you’re doing. For 6 miles, I went back and forth. Luckily, Confidence prevailed. 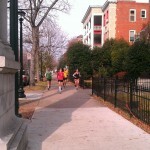 Through Forest Hill, we started to see some of the 10k runners who started 30 minutes after us. They were incredibly supportive. And quite mobile, making every effort to get out of the way so I could pass. Thanks guys. I probably lost a little time jumping rocks across the river. I navigated it well, taking the shortest path possible, but I put on the brakes just slightly. I was running a near perfect race so far, and the last thing I needed was to bite it on a slippery rock, or twist an ankle. I even waited patiently for two 10kers to climb the ladder onto Belle Isle. My old racing self would have climbed the wall, but I’m glad I waited. It provided a brief rest, and it was the gentleman thing to do. It’s really more like a small mountain in my opinion, but you can call it what you want. Pretty much a straight shot up to the top, a few hundred yards across, and switchbacks right back down. As soon as we came down, I knew precisely how far until the finish. And for the first time in a while, I looked down at my watch. 6 minutes left to break 1:40. It was time to see what I had left in the tank. How, I have no idea. Well, I’m sure adrenaline had something to do with it. And I knew there were no more hills, so it was game on to the finish. Up the ramp to the footbridge, blinker on, get in the left lane, pedal to the floor. At this point, my breathing sounded like a 200lbs wild animal of some kind. My form might also have mimicked that of a wild animal, although I was trying to keep it together. Sometimes I just get too excited. Down the footbridge, onto Tredegar St, pedal still on the floor. I might have eased up just a bit for 10 seconds. I needed to make sure I had something for a sprint finish. I had a look of pure anguish on my face. I usually throw my tongue out at this point too. Arms pumping. Lungs working overtime. Eyes squinting. I looked like absolute hell, but I was smiling on the inside. I blasted through the finish in 1:39:29 (a 7:37 pace). On that course, with those hills, and that humidity… very respectable. 12th overall, and actually 3rd in my age group. They gave me a medal. That’s never happened before. 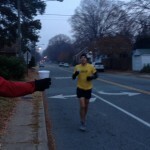 I saw a guy I recognized from last week’s 50k. We talked for a while. Real nice guy. From Montana. Going to school in Winchester, VA. Nice to meet you, Rob. Thanks for the conversation. We stuck around to watch a few more friends finish. I stuffed my face with muffins, and devoured a dozen orange slices. Misting tent. Porta-potty. And lots and lots of deep breaths. Phew! That was awesome. I sit here now, 60+ ounces of water later, an ice bath, self-massage, cold shower, protein shake, and just flat out laid down for 30 minutes. And I feel good. Real good. The human body is an incredible machine. If you treat it right… listen to it… give it what it tells you it needs, when it needs it… it’s capable of some pretty incredible things. If you don’t believe me, please test it out. You’ll be pleasantly surprised with what you discover.